Yes, I know, I know… It took me a long time to get back to finishing my High Elf duology. Four years, in fact. When I set out to tell this story, it was supposed to be one book, but right from the outset I knew it was going to be more. 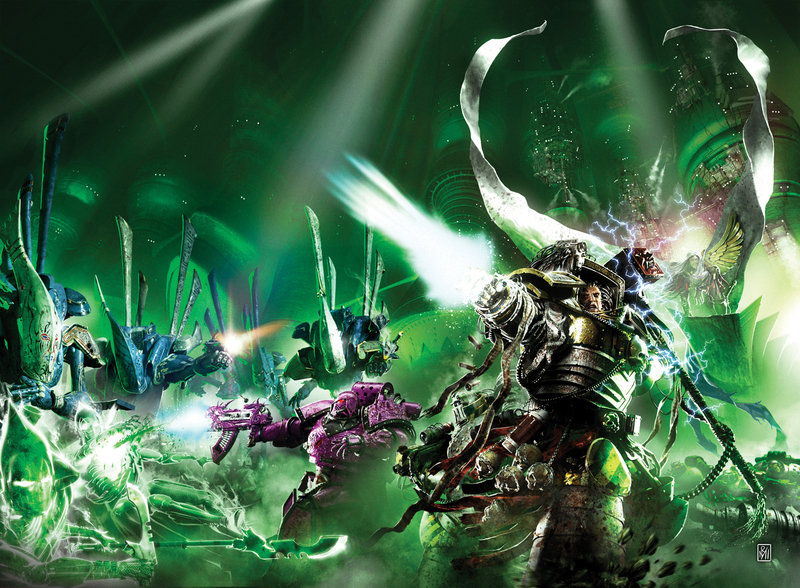 I planned to write the two books back to back, but the muscular bully-boys of Heresy and Time of Legends came and kicked Warhammer to the back of the queue. And, in retrospect, I’m glad they did, as I think Sons of Ellyrion is a far better book for being written later. It’s a more mature, reflective book, written by a very different person to the one I was when I wrote Defenders of Ulthuan. I have a real soft spot for the previous High Elf book, but understand that parts of it read a bit like a tour guide to Ulthuan. Sons of Ellyrion paid off all the set-up of that first book, and was a full-on war novel, with the Dark Elves and High Elves going at it, tooth and nail. Sitting next to Bill King at Games Day UK 2013, he was kind enough to say that he thought my two High Elf books were the best things of mine he’d read. And trust me, when a writer like Bill King says that to you, it’s hard not to feel incredibly proud and like you’re ten feet tall. I don’t think I’ve enjoyed writing any other novel as much as I enjoyed writing Sons of Ellyrion. The words just flew onto the page and I think the passion and relish I was taking in the telling is evident in how it reads. There’s very few books of mine I go back to and actually read instead of just dipping into for research etc., but these books (together with The Ambassador Chronicles) are some of the very few I dip into, then end up reading from cover to cover. Like they say, always write the kinds of books you’d want to read yourself, and I guess this is proof that I’ve done that with these ones.